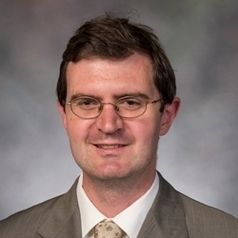 Kristian Coates Ulrichsen, Ph.D., is the Baker Institute fellow for Kuwait. Working across the disciplines of political science, international relations and international political economy, his research examines the changing position of Persian Gulf states in the global order, as well as the emergence of longer-term, nonmilitary challenges to regional security. Previously, he worked as senior Gulf analyst at the Gulf Center for Strategic Studies and as co-director of the Kuwait Programme on Development, Governance and Globalisation in the Gulf States at the London School of Economics (LSE). He is a visiting fellow at the LSE Middle East Centre and an associate fellow at Chatham House in the United Kingdom. Coates Ulrichsen has published extensively on the Gulf. His books include “Insecure Gulf: the End of Certainty and the Transition to the Post-Oil Era” (Columbia University Press, 2011) and “The Political Economy of Arab Gulf States” (Edward Elgar Publishing, 2012). In addition, he is the author of “The Logistics and Politics of the British Campaigns in the Middle East, 1914-22” (Palgrave Macmillan, 2011) and “The First World War in the Middle East” (Oxford University Press, forthcoming). He is currently completing a book on Qatar and the Arab Spring and has been commissioned to write a textbook on the Gulf and international political economy. Coates Ulrichsen’s articles have appeared several academic journals, and he consults regularly on Gulf issues for Oxford Analytica and the Norwegian Peacebuilding Resource Centre. He also writes regularly for Open Democracy and Foreign Policy, and authors a monthly column for Gulf Business News and Analysis.